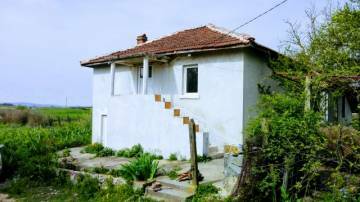 Location: The village is a part of Sredets municipality, Burgas Region, in southeastern Bulgaria. 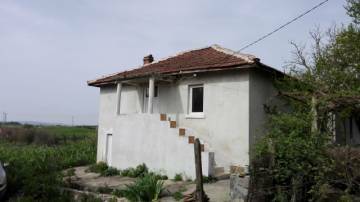 The village is located about 15 km of Burgas city and the sea and about 10 km of the town of Sredets. The population is around 2000 inhabitants. 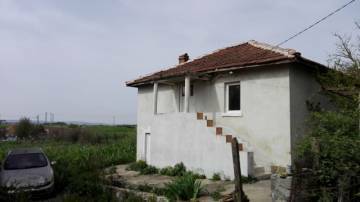 The access to the village is accomplished by asphalted road and has regular bus transport to Sredets and Burgas. It has electricity and water supply, there is coverage of Internet and mobile operators. The village has a mayoralty, community center, church, primary school, stadium, kindergarten, pharmacy, meat establishment, shops and restaurants. The village has a GP and a veterinarian. The nearest hospitals are located in Burgas. The village is located near a lake. 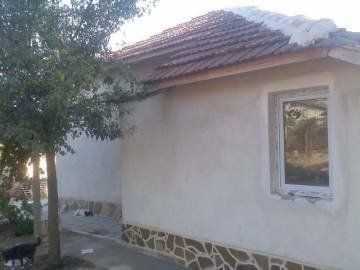 Description: We offer for sale a partialy renovated, two-storey house near the village center. The house has a total built-up area of 108 sq.m. The house is situated on a hill and opens a wonderful view of the village and the hills. Finishing works: The house was built of stone and bricks in the late 1950s and preserved the original structure. 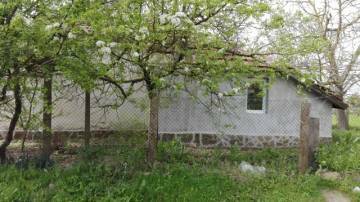 The house is expanded and refurbished from the original size of 72 sq.m to 108 sq.m. The house is after major overhaul. Fully replaced plumbing and sewerage and electrical installation; new roof; external heat insulation; floors - terracotta, cement; walls and ceilings - latex painted; PVC doors; new PVC joinery; fully finished and equipped shower room with a toilet on the second floor, water heater on the first floor. There is a place to install a new kitchen and a bathtub in the house. Yard: The plot of land has and area of 1300 sq.m, surrounded by fence. There is a parking for three cars in the yard. In the yard are planted vine trellis, plum, apple, pear, 2 walnuts, hazelnut.